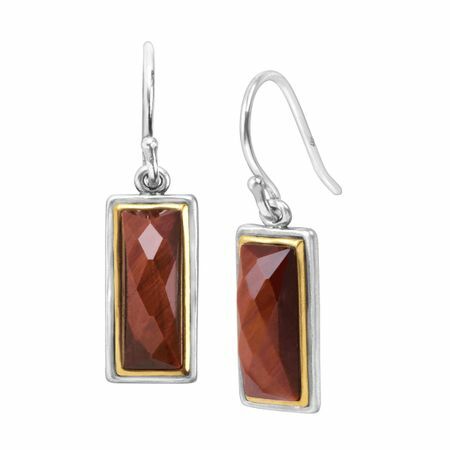 Fire up your look with these burgundy-colored earrings. Rectangular, bezel-set red tiger's eyes are encased inside double frames of brass and sterling silver. Earrings measure 1 1/4 by 3/8 inches and feature French wire back findings. Pieces come with “.925” sterling silver stamps as symbols of guaranteed product quality.